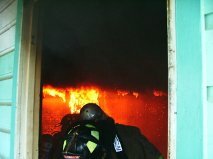 This is a MUST READ for all Fire Officers and Fire Instructors. This has become a HUGE problem. We must push for better Live Fire Training. Who are they: They are all around you and they are graduating from academy’s every day. What are they: They are our next generation and the future of the fire service. If you are a Company Officer, they are riding behind you. If you are a Chief, they are the Troops you had coffee with this morning. Why are they going to be LODDs: Because what live fire training is today, is ill preparing them for what they will face once they are riding on the apparatus. But we have NFPA 1403: Which is part of the problem, as it has watered down fire training (pun intended) to something unrealistic, to the real world of rapidly growing fire conditions we now face.